We were up early, walking at about 5:30. It was already hot, but better than it would be later. We then had breakfast and got ready to hit the road. We headed back to Blount County to check on the aunts, the house and pick up the mail. With all the storms this past week we needed to check Helen’s and our house and freezers. The ladies seemed to be doing well today. 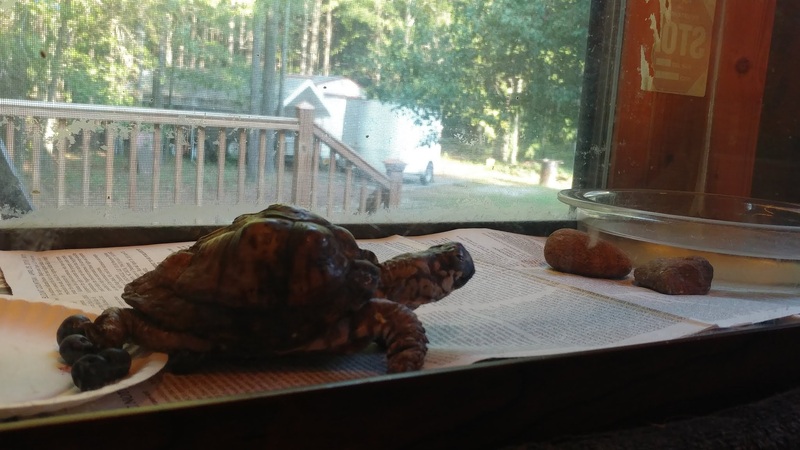 Jean was thrilled because Debra sent us a picture of Newdul, Jean’s 46 year old turtle enjoying some blueberries. Thanks so much Debra for taking such good care of Newdul and for the picture. You really made Jean’s day. 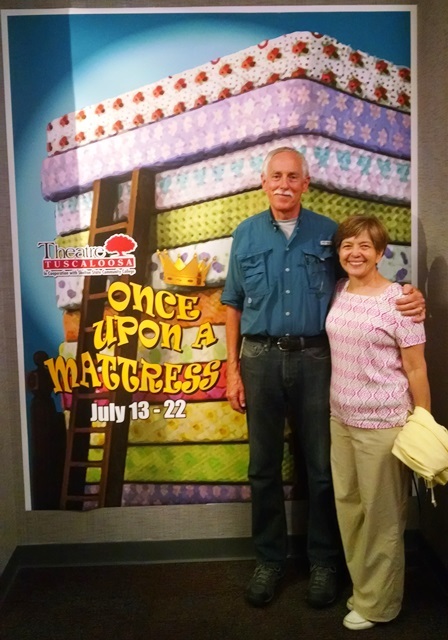 When we got back to Tuscaloosa we went to a play at Shelton State Community College. We have been to a few there before and they always do a really good job. This was no exception. 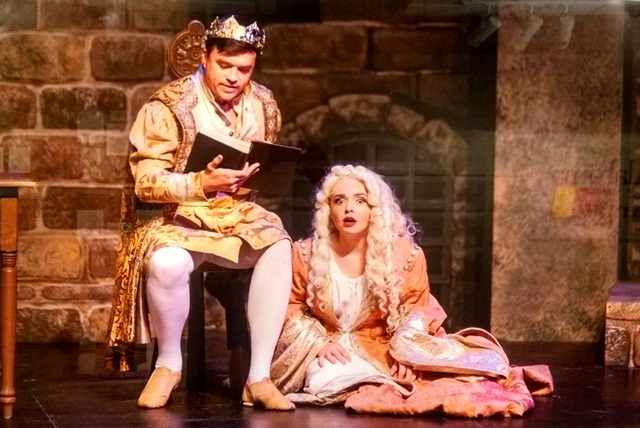 The play presented by Theater Tuscaloosa was “Once Upon A Mattress”. It was a very energetic performance with wonderful vocals and orchestra. If you are in Tuscaloosa, you have through July 22 to see the play. You won’t be disappointed. It was a busy but very nice day. We thank God for safe travels.